Out of sight, out of mind might be the saying that some rely on for spring cleaning, but when it comes to your pipes, those things that slip down the drain can come back to haunt you quicker than you think. While logically we all know that only water should go down the drain, we've all been guilty of a "whoops, there go those spaghetti noodles!" scenario at some point. And it can be harmless, until the blockages build up and attacks in the form of a clogged sink. Some clogs can be dealt with by a plunger or a snake, notes the Family Handyman, but if it seems more extensive (or you're feeling unsure of yourself), be sure to contact a professional for help. 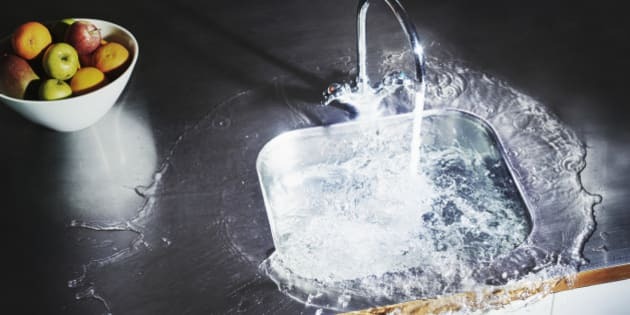 According to HomeAdvisor.com, Canadian homeowners spend an average of $273 to $353 to unclog their drains — a large expense for something that could be prevented with a sink strainer.